Thai hospitality with International Standard. At only 124 kilometers from Bangkok to Saraburi, a riverside awaits you. 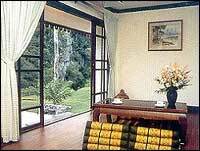 On 183 rais of the resort's territory, a resort hotel of more than a hundred modern Thai style bungalows with 220 rooms which can accommodate more than 600 guests were built amidst the abundant natural environment. 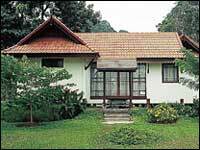 Enjoy the valuable relaxation and the pleasurable business meeting at Supalai Pasak Resort. 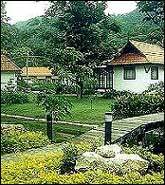 More than 600 famous firms organization have proved that Supalai Pasak Resort is the appropriate place for Walk Rally, activities and seminars. The resort provides 4 fully equipped function rooms. 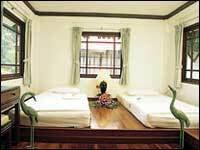 The rooms can flexibly be arranged to accommodate from 20 persons up to 250 persons. To fulfill every activity that you may require both indoor and outdoor, the total of 183 rai of outdoor space and 220 rooms are set sufficiently. Nevertheless, our restaurants are ready to serve you, your family and your business group throughout the time you stay in the resort. Furthermore, the club house and surrounding area provides plenty of enjoyable facilities & activities. Including fitness room, sauna, 800 sq.m. swimming pool with Jacuzzi, snooker, karaoke, mini-theatre, physical-test field, bird garden, observatory tower, tennis courts, mini golf, archery range, herbs garden, cruising, abseiling, cave adventure, fishing, bush walking, a jogging track, bicycles rally, etc.